We worked with Daniel Winkler to bring out a damascus belt knife and he really did a fantastic job on this blade. 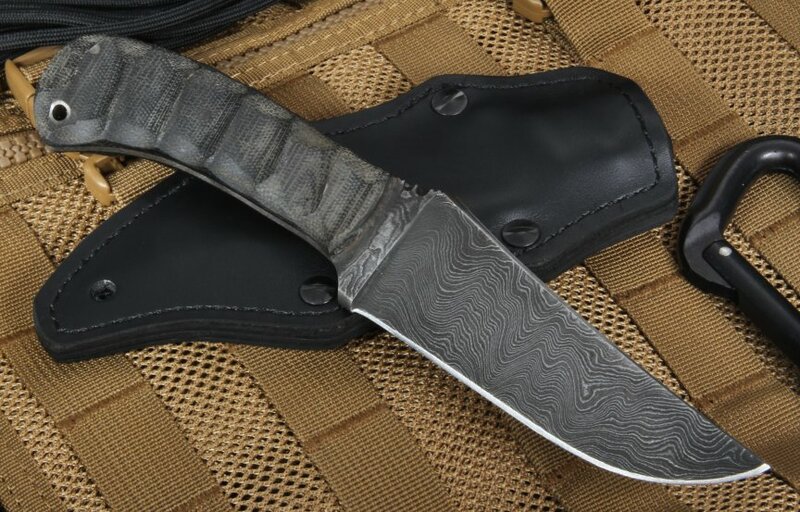 A key feature of this knife is the American-made damascus steel blade with a drop point shape. The top of the blade spine has a thumb ramp and file work. The handle on this Winkler Belt knife is full tang construction and feel extremely comfortable in hand - great for your next adventure. The black canvas micarta is durable and impact resistant, allowing the user a secure grip in a variety of environments. 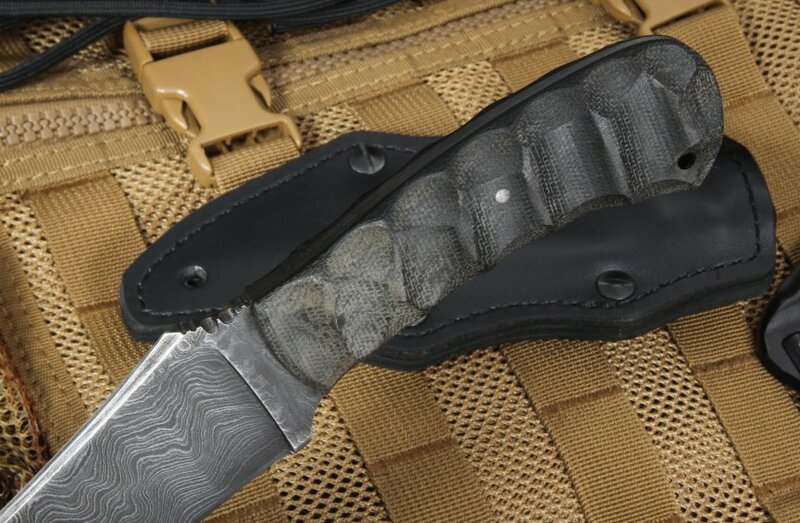 The Damascus fixed blade knife is completed with a custom made leather sheath that is kydex lined for security and a form fit. 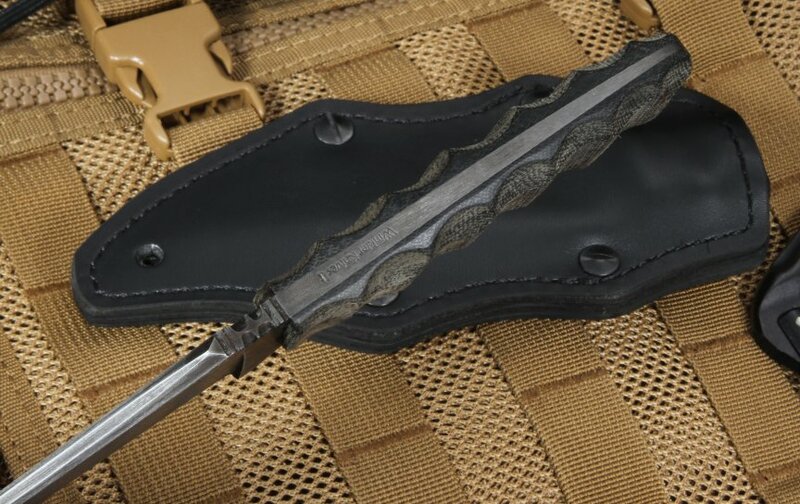 The sheath has a variety of mounting options from vertical to horizontal. 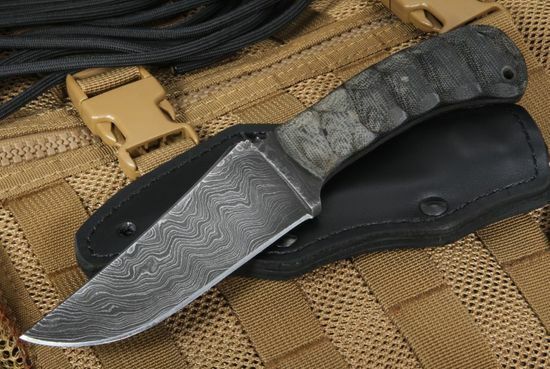 Daniel Winkler knives 2 are made for elite military units with an emphasis on special ops.